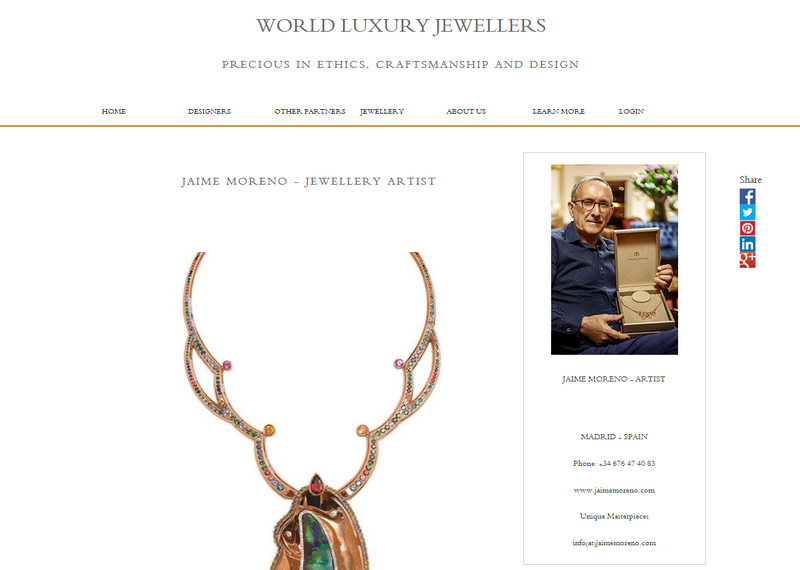 WORLD LUXURY JEWELLERS is not an ecommerce or similar. Their mission is to hand-pick and showcase the best contemporary art jewellers as well as galleries and musems from around the world. Their vision is to feature only the best artistic jewellry creations with a focus on environmental and human right issues in the mining sector. Only jewellery made of precious metals – as 18kt gold -, unique designs, genuine natural gemstones and crafted with care will be promoted on the WORLD LUXURY JEWELLERS platform. 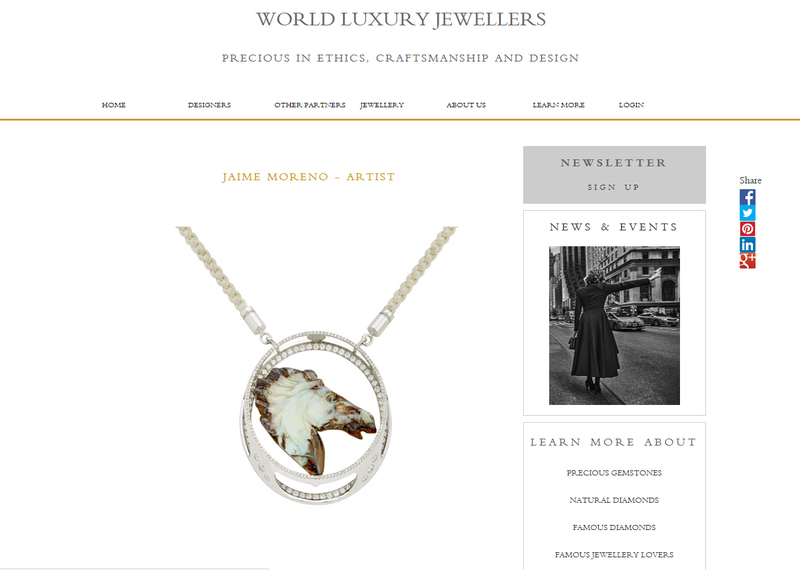 Jaime Moreno has been invited to participate in WORLD LUXURY JEWELLERS as a prominent artist and jewellery designer showcasing some of his best creations. 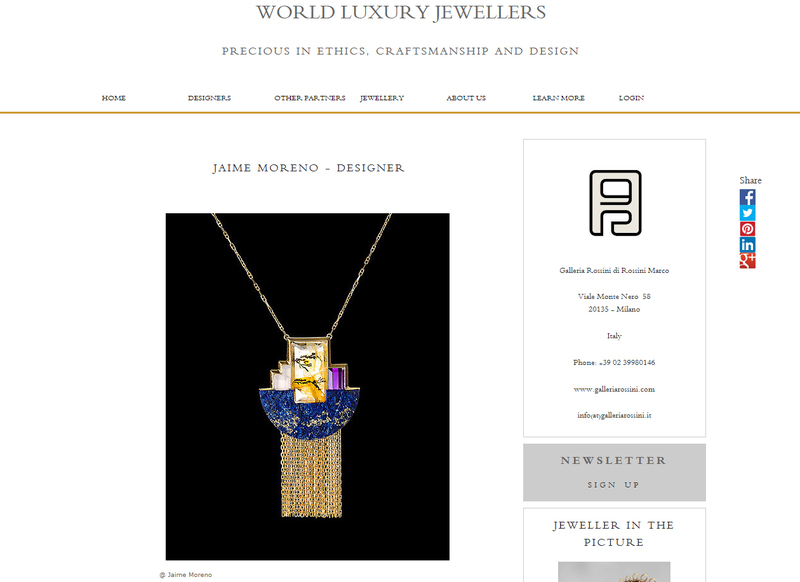 Thanks to the truly outstanding job of Mrs. Vinciane van Grotenhuis CEO of WORLD LUXURY JEWELLERS, this website takes the brand and the work of Jaime Moreno to new highs in the international scene paired with outstanding designers, galleries and museums from every corner of the planet.